Who is watching out for your interests at the settlement table when you purchase or refinance your property? It is best to choose a real estate attorney that is independent from the transaction to conduct your settlement. Settlement Companies cannot provide legal advice. Your real estate broker and loan officer, while well intentioned are not trained or qualified to give legal advice. A real estate attorney can provide significant guidance during one of the most important transactions of your life. Often the fees for services are very competitive particularly in light of the fact that the Law Firm would like to develop a continuing attorney/client relationship with you and your family. BEWARE: Settlement Companies, also known as Title and Escrow Companies are often owned, controlled or influenced by the lender or real estate company. We can help. You can expect superior, unbiased service performed in a cost efficient manner. 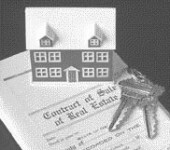 The Cantalupo Law Group, PA can review your real estate purchase agreement or sale contract or commercial real estate lease and make modifications that protect your interests. This process generally takes 30 minutes. For a low fee and minimal time, you can protect your investment and your future. Are you a first time property buyer unfamiliar with the real estate closing process? Are you a seasoned buyer who knows how things can go wrong at settlement? Contact a commercial or residential real estate attorney at The Cantalupo Law Group, PA. Generally, real estate is the largest investment you will ever make. Count on The Cantalupo Law Group, PA for the necessary legal advice and representation. At The Cantalupo Law Group, PA, our other practice areas include Estate Planning and Emerging and Small Business Consulting. Our Clients Trust Our Instincts and Value Our Solutions. When important legal issues are on the line, it is important to consult with an experienced attorney. When you hire The Cantalupo Law Group, PA you hire a Team committed to solutions and results. We offer an initial no obligation consultation. The Cantalupo Law Group, PA is located in Rockville, Maryland and our Montgomery County, Maryland law office serves clients throughout Maryland and Washington, DC.